5 blissful miles in Hyde Park. Overcast skies and cool temperatures. Numerous other runners, cyclists, dog walkers, pedestrians and a few on horseback for company. Perfect for a last training run before Sunday's Virgin London Marathon. 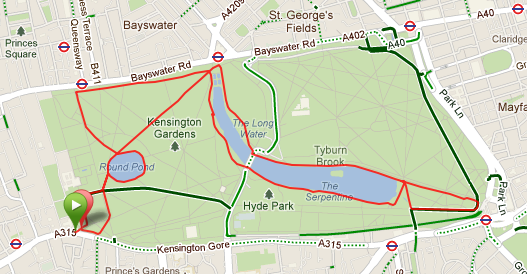 Hyde Park contains so many paths that running there never dulls or becomes repetitive. Turn a new corner, and you might find a statue or memorial that you never knew existed. Another bend leads to a water feature or copse of trees. 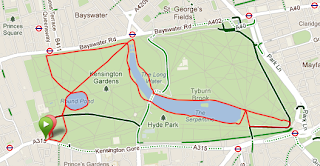 The 350, most flat, acres anchors the Western portion of London, and combined with the adjacent Kensington Gardens provides recreation to millions of visitors each year. Most times I come to London, I stay at the Royal Garden Hotel. My room this time looks out over the Kensington Gardens/Hyde Park and various paths darting through it. So, the Park acts like a gravity well for my running shoes. It's mostly straight-aways reach out for a running morning. No need to plug my ears with wax and lash myself to a mast; this siren song happily is welcome but does not risk a loss of freedom. In fact, quite the opposite occurs. Running the park is a free and joyous event that leaves you tired but satisfied. My love of the park started not when I lived in London but rather from an adventure game. (So many of my passions started with a game or movie; clearly I am susceptible to such things.) The game in question came from the mind of Brian Moriarity at Infocom. This text adventure entered the market in September 1986. In the game, you play an unnamed adventurer who escapes London as a nuclear bomb falls on the city. 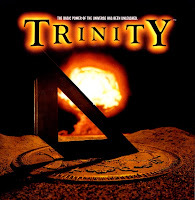 Your escape takes you back in time and eventually leads you to the Trinity atomic bomb test in July 1945. The game's opening in London takes place in, as you may have already discerned, Hyde Park. While I had visited Hyde Park a few times prior to playing the game, I never quite felt its layout or hidden treasures until I played the game. 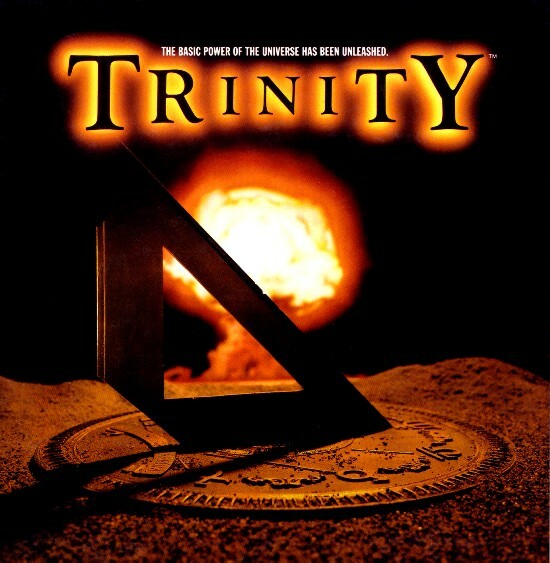 Trinity in no way tries to even accurately map the park to the text adventure. But it contained just enough facts to be realistic. The Long Walk. The Serpentine. Palace Gate. Women with prams. The essence of Hyde Park. I've run the Park many times, but I doubt I have seen it all. Each time, I pick a new route and often just randomly make a turn or two to get a bit lost. Today's five miles were easy. 43 minutes in total. I wonder how many other runners I passed who will take to the streets on Sunday with me? They all looked calm and hopefully felt the relaxing pulse as I did.